You can activate your copy of StockMarketEye by entering your license key using the “Enter License Key” window. We recommend that you copy-paste your license key from the email to the license key window. Copy-pasting is faster and less error prone than typing by hand. 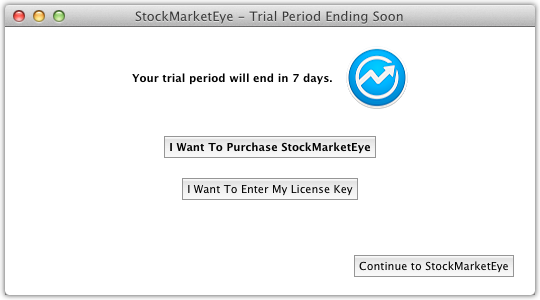 After the license key has been validated, we recommend that you restart StockMarketEye.